Two local foot soldiers are working to bring Halifax a sneaker destination via East Coast Kicks and Classic Soles. East Coast Kicks and Classic Soles want to make it easier to stay fresh in a pair of sneakers. 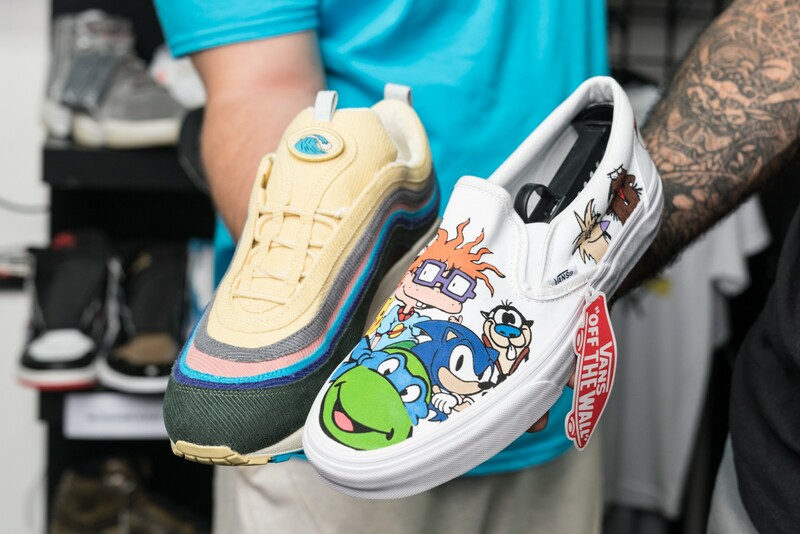 Opening earlier this year, the two companies have been offering exclusive high-end kicks and sneaker cleaning, restoration and customization to Haligonian shoe enthusiasts, providing the ultimate one-stop-shop solution for all their footwear needs. Proprietors and self-proclaimed sneakerheads John Connor (founder of East Coast Kicks) and Tyrone Goodwin (Classic Soles boss) bonded over their love of fly shoes when they first met at Sole Exchange—an entire convention dedicated to sneakers. Moving to West Street, the two entrepreneurs set up shop in January, situating their respective shops next to each other. Since then they’ve been running a successful operation with Connor keeping the shelves decked out with dope footwear brands (read: Yeezys, Nike x Off-White, Gucci) and Goodwin keeping patrons’ favourite shoes in tip-top condition. While business is good at the moment, skeptics might be quick to bring up the sneaker shops that have come and gone in Halifax, but Connor says this shop is nothing like the rest. The unique experience they offer is definitely paying off. 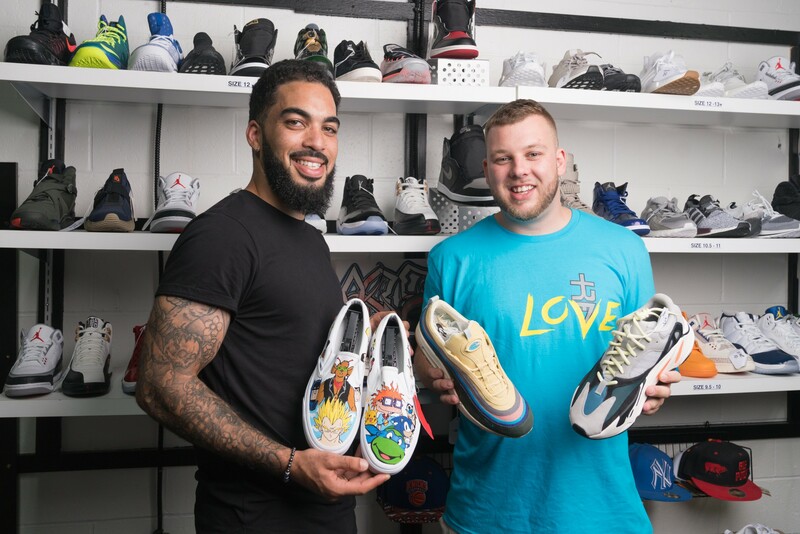 Just nine months into setting up shop, Connor and Goodwin are preparing to relocate as their small 290 square-foot shop is literally stacked “floor to ceiling” with shoeboxes full of kicks waiting to be worn. With plans to find a new home on the peninsula and involving themselves in charity efforts like shoe drives, the dynamic duo is in for a massive undertaking, but promise keep the original spirit of their shops alive as they continue to grow.